23.4 miles through beautiful mountain terrain from Stone Creek to Bracket Creek along the Bangtail Divide Trail. All participants are required to use the shuttle to and from Bohart Ranch parking lot to the start of the race and from the finish line. There are no exceptions and the Forest Service has been very clear about not parking at either the start or the finish. If you are coming from out of town then you should take the East Main street exit (#309) from I-90 and proceed west on Main. At the fourth stop light (Rouse street approximately 1.5 miles) you will take a right (north) on Rouse. There will be a sign there that says Bridger Bowl Ski area. From there you will continue to drive north for approximately 17 miles until you reach the Bohart Ranch sign where you will take a left. A race volunteer will be there. Elevation at Start: 5,540 ft.
Elevation at Finish: 6,080 ft.
Total Elevation Gain: 3,045 ft.
Total Elevation Loss: 2,523 ft.
Aid stations will be supplied with Hammer products (Heed, Gel, Endurolytes, etc.) as well as fruit, Coke, and carbohydrates. 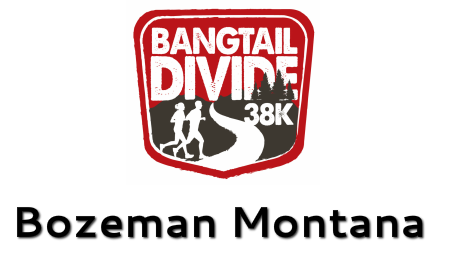 The course is run entirely on the Bangtail Divide Trail (#504) from Stone Creek Trailhead to Brackett Creek Trailhead. The trail is 22.3 miles from point to point but we have added one mile of dirt road at the start to give participants time to spread out before getting onto the single track to start the long climb out of Stone Creek. The trail is very well-traveled and easy to follow. Along the entire course there are posts that mark the trail from start to finish. In addition to the markings that already exist on the course, we will add additional flagging and arrows to eliminate any confusion, particularly at intersections. At the start of the race runners will begin by running the first mile up the stone creek dirt road for approximately one mile to where the start of the Bangtail Divide Trail begins. There will be a volunteer there directing runners onto the trail. From here you will begin a long series of switchbacks climbing out of Stone Creek. Throughout this climb you will cross over several old jeep roads that are no longer in use and it will be marked clearly. At the crossing of a Jeep road, you will come to Aid Station #1 at the 4.5 mile marker. This will be the first of 3 fully stocked aid stations with food, liquids, gel, endurolytes, etc. You will cross over this road and continue up the single track for a few more miles. At approximately mile 6, the terrain will start to level out through an open field along a barbed wire fence. From there you will continue along the single track and come to an ATV road. You will stay to the left and run along the road towards a cattle guard. This is approximately mile 10.4 and you will reach Aid Station #2. You will continue along the dirt road for a few hundred more yards before veering to the left back onto the single track trail. You will continue to climb for another mile before reaching the high point of the course. This is also the most beautiful view that the course has to offer. This open area gives participants views of the Crazy Mountains, the Absaroka Mountains, and the Bridgers. If the timing is also right, this meadow can be filled with wildflowers. The next couple miles are a moderate downhill. At mile 15.5 you cross over another dirt road and will see a sign saying “Brackett Creek Trailhead 8 miles”. After crossing over the dirt road you will continue on the single track for another mile where you will reach another dirt road. This is the intersection of Olsen Creek Road and where the final Aid Station will be located. This Aid Station is located 7 miles from the finish line which is the largest distance between Aid Stations but the course is almost entirely downhill. At mile 18 there will be a steady climb for 1.5 miles to the top of Grassy Mountain before beginning the 4 miles of steady downhill to the finish. The last 2 miles is a nice fast downhill with several switchbacks. The finish is the Brackett Creek Trailhead as soon as you cross over the bridge into the parking lot. 1. All runners MUST check-in on Saturday morning of race day. We need to know exactly who is starting the race and so we can monitor who is out on the course at all times. This way no one looks for someone who did not start. 2. Runner Bib must be worn on the front and visible at all times. Your bib number will be used for your timing and also to check you off as you pass through aid stations. This is NOT a chip timed race. 3. NO LITTERING! If you are caught littering on the course you will be disqualified. 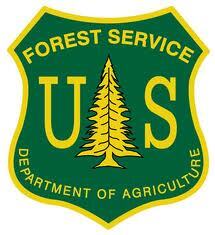 The forest service is very strict with this rule and if we wish to continue this race in the future we must obey. 4. No crewing. This race allows no crewing in any form from anyone other than by the provided aid stations. This includes stashing supplies on course before hand as well as friends hiking up to provide any assistance. 5. Runners must follow the marked course at all times. If for any reason you should depart from the course, you must return to the point where you left the course and continue from there. 6. NO CUTTING SWITCHBACKS! You must stay on the trail at all times. 7. NO PETS on course or at the start and finish areas. We all love dogs but unfortunately they are not allowed on race day. 8. ALL PARTICIPANTS MUST USE SHUTTLE! This is a rule that is not allowed to be broken for any reason what-so-ever. Runners are NOT allowed to be dropped off at the start for any reason or park at the start for any reason. The forest service has made it very clear that every participant must take the shuttle from the Bohart Parking Lot to the start and from the finish back to the Bohart Parking Lot. Any participant that drives to the start will be sent back to the Bohart Lot and any participant that parks at the start will be towed no questions asked. I know this is harsh but our permit is very strict and we wish to continue this race in the future. 9. This is a multi-use trail and will continue to be open to the public on race day. Remember that you are sharing the trail with mountain bikers, hikers, horses, and in some places ATV’s. Be courteous to everyone out on the trail. 10. There is no parking at the finish line. Take anything you wish to have at the finish line (clothes, change of shoes, etc.) to the start with you for us to shuttle to the finish for you. There will be a bus shuttle that will leave every 20-30 minutes from Brackett Creek back to Bohart. 11. If you decide to drop from the race, make certain that you notify the aid station captain of your drop. This way you will be accounted for at all times. This is for your safety. 12. Cut-off times are very strict and if you finish the race after the scheduled time, you will not have a finish time. 13. Abuse of volunteers in any way will not be tolerated and will result in disqualification. Volunteers are the ones who make events like this possible and without them we would not be successful. If you any complaints, issues, etc. please direct them to the race director. If you have anything positive to say about the race/course please tell the volunteers. 14. Have fun and enjoy the views!